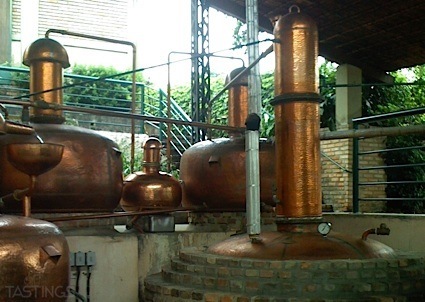 Copper color. Aromas and flavors of chocolate dipped dried figs, baked peach, tapenade topped grilled brioche, sesame oil, cedar, and soy glazed walnut with a satiny, vibrant, fruity full body and a peppery, layered, medium-long finish with touches of caramelized tropical fruits, molasses, Thai chiles, and sea salt finish. A powerful Taiwanese whisky with a salty-rich appeal and endless umami flavors. Bottom Line: A powerful Taiwanese whisky with a salty-rich appeal and endless umami flavors. 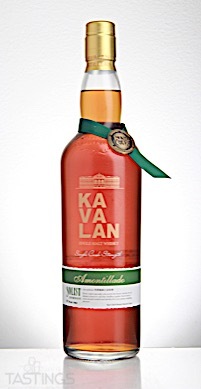 Kavalan Solist Amontillado Sherry Single Cask Strength Single Malt Whisky rating was calculated by tastings.com to be 94 points out of 100 on 7/24/2018. Please note that MSRP may have changed since the date of our review.